We realise that having a nicely finished interior is one of the most important aspects of your building project. 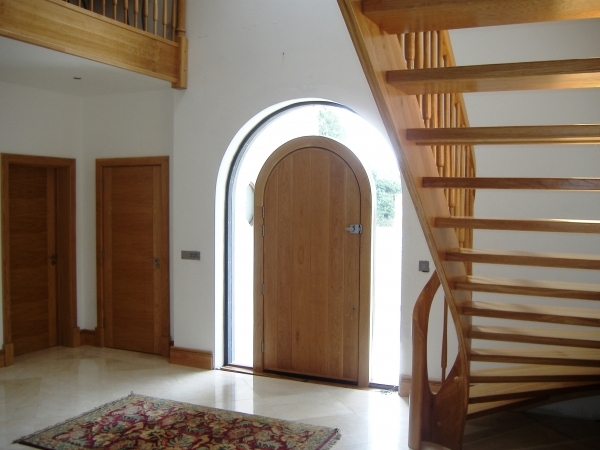 CarpentryWorks.ie will provide you with a complete range of interior joinery supplying and fitting stairs, doors, floors, skirtings, architraves and more at prices you can afford! We design, supply and fit all aspects of interior joinery within all ranges of materials, finishes and budgets. New build customers may wish to meet with our designer prior to looking for interior joinery. It's a jungle out there and the choices the sales people push at you can be overwhelming! Why not let us help you to decide what may be best for YOUR project and budget? Many home owners have decided to add to their homes by fitting paneling in an entry or a better quality of mouldings in the dining room. 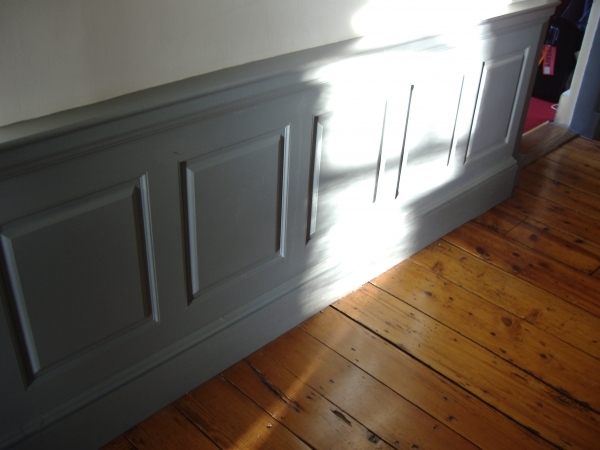 We design, build, finish and fit our own unique range of mouldings and paneling, which adds a finished look to entryways, bathrooms, kitchens, sittingrooms and more. It's a quick way to change the look of a special area without breaking the bank! Have a look at our gallery of interior projects and feel free to contact us with your questions and design ideas!